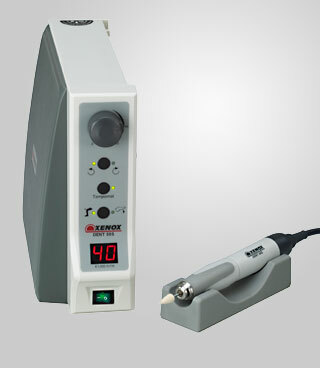 XENOX laboratory equipment are precision tools for dental laboratories, opticians, hearing aid acoustic technicians, design studios, jewellery and goldsmith workshops, electronics laboratories and manicure and pedicure institutes. Equipment in proven design for drilling, milling, grinding, polishing, brushing, cleaning, engraving and separating precious metals, ceramics, plastics, steel, glass, minerals and many other materials. The assortment includes handheld equipment and a few just as useful table top tools and chuck tools. Our XENOX tools are coordinated constructively thus forming a compatible system. Perfect technology at a reasonable price!